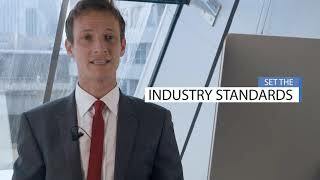 Have an exciting career in the animal care industry. The Advanced Diploma in Animal Care – Level 3 is geared at pet lovers. The course is extensive and offers in-depth knowledge on animal behaviour, health and how to care for a range of pets including dog, cat and rabbits. It is a highly fulfilling career that is suitable for people in the animal industry or for individuals who want to gain insight into becoming professional animal carers. The training is hands-on and will enable individuals to be confident in their job role, and develop the necessary skills to run their own animal care business. If you enjoy being around animals and you feel that you have natural confidence then you will find this training insightful. Learn about animal behaviour patterns, distinctive sounds and their body language to gauge what the animal is trying to express. It is the perfect choice of course for individuals with a love for animals and wants to take their career to the next level in the animal care industry. 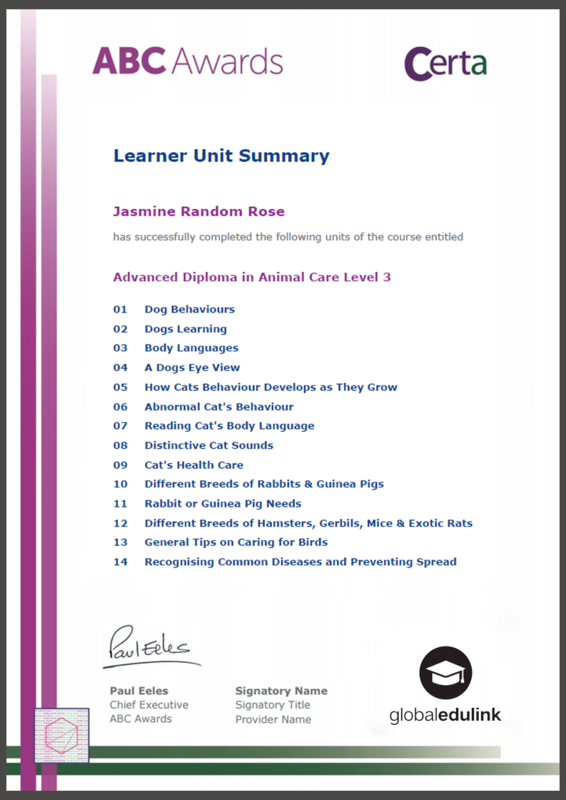 Those who successfully completed the course will be awarded the Level 3 Advanced Diploma in Animal Care by ABC Awards and a learner unit summary (which contains the details of the units in your course you have completed). This professional qualification will make you an asset to potential employers and your motivation and commitment to excel your skills will be recognised. Yes, Kindly note that Level 3 Advanced Diploma in Animal Care with Official Certification Endorsed Certificate by ABC Awards | Ofqual Regulated Vocational Qualification | QLS-03593. Kindly contact reed for further details. Is there any practical based work within this course or can it be done alongside employment (not animal based)? Kindly note that we do not provide a practical based learning experience as this is completely an online course. Once you successfully complete the course you can start implementing what you learnt practically. 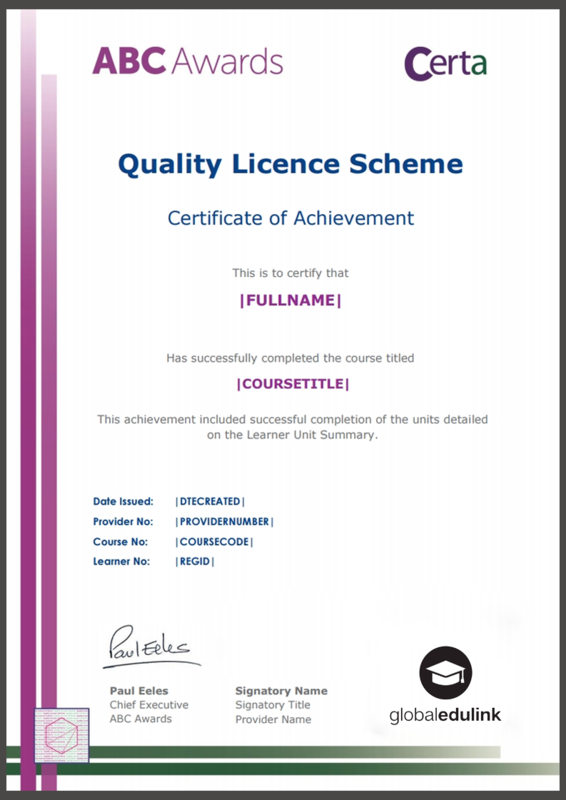 Is this course ofqual regulated and if so what is the qualification number as I cannot find it on the ofqual register? Can you pay for this course in monthly installments or is it only as a one off payment? Kindly contact reed for the instalment process. The course consists of written assignments - could you elaborate a little more on this please. Kindly note that this online program will be evaluated through written assignments. 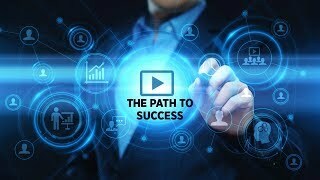 In order to complete this program successfully and gain your professional qualification, all students are required to complete a series of assignments. The completed assignments must be submitted via the online portal. Your instructor will review and evaluate your work and provide your feedback based on how well you have completed your assignments. The duration of the course it’s 25 hours? yes, the duration is 25 guided learning hours.